Plans for the school and library have now been dropped, and the leisure centre is being developed in a separate land-sale development. 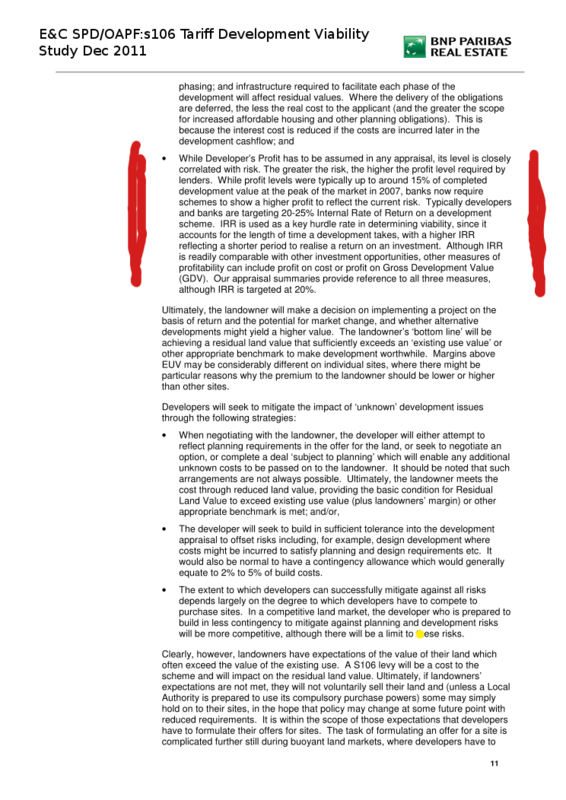 The Heygate site was also supposed to provide 50% affordable housing and a MUSCo - (a biomass energy generation plant), which was going to provide ‘green’ heat and power for the whole E&C and Walworth area including the proposed development at the Aylesbury estate. This was in line with the ‘zero carbon’ objectives for the scheme, which proposed that the new developments would all be carbon neutral and enabled it to be selected as one of Bill Clinton’s Climate Positive Initiatives. 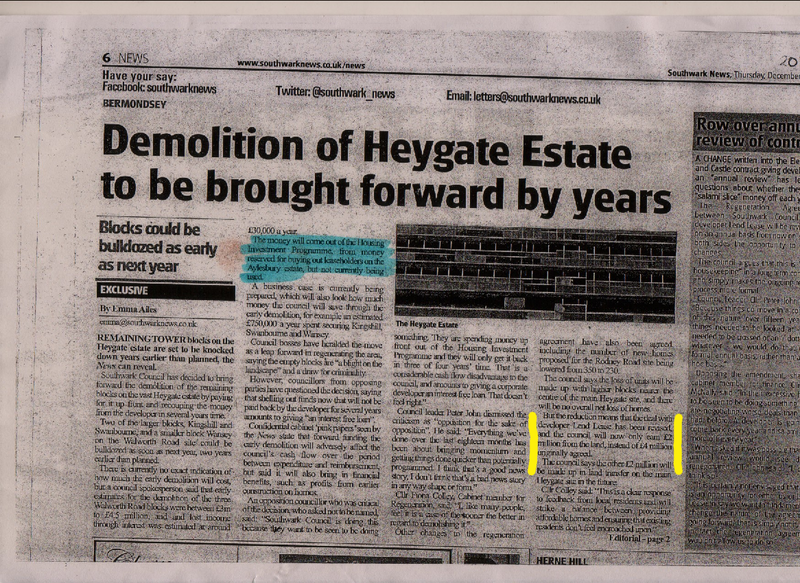 Now these too have been dropped from the scheme: the outline planning application contains no minimum guarantee of any affordable housing, and the biomass Combined Heat & Power network has been dropped in favour of a standard gas-fired boiler, which will only supply the new homes on the Heygate footprint. It would therefore appear that financial viability is the key variable in the whole scheme and the main determinant of whether it will provide any community infrastructure at all. 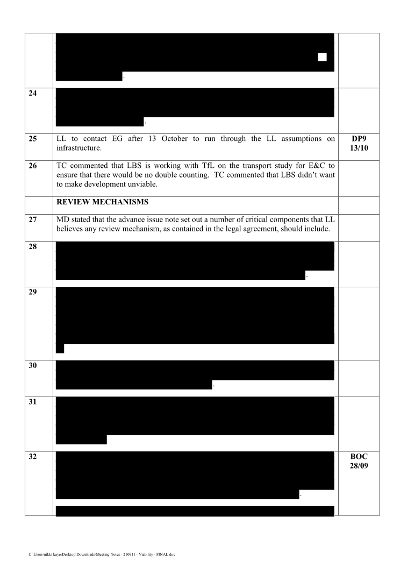 All that has been released concerning viability so far is a series of heavily redacted minutes from Council meetings with Lend Lease and its planning consultants ‘DP9’. The 35percent campaign urges Southwark to release information relating to viability testing, so that we can better understand why the scheme’s original community benefits can no longer be provided. 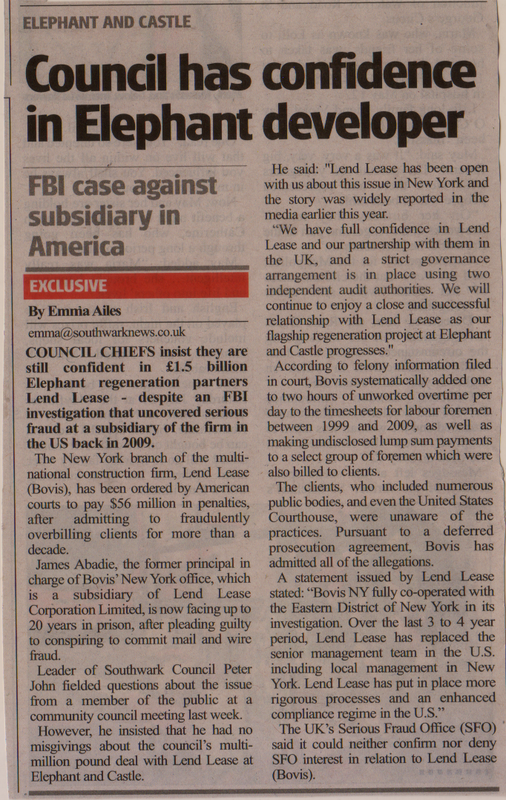 We think this is especially important since Lend Lease’s recent conviction for serious fraud in connection with a similar regeneration scheme in New York. If you are a Southwark resident and wish to add your voice to this demand, you can do so by lodging an objection by following the instructions on the link here. The planning application reference number is 12/AP/1092.